This is the most exciting time to work in Knowledge Management and Innovation teams within a law firm. Partners at the U.K.’s leading law firms have admitted that when they were trainees and associates, the work was much more fulfilling. Today’s junior lawyers are faced with an ever-growing challenge just to keep on top of all the contracts created by their clients, meaning that often their time is spent on low-value, mechanical work that increases the chances of burnout. Hiring a dedicated and innovative KM or specialist LegalTech team can only help law firms to make better use of the ocean of legal data they have accumulated over the years. More and more firms are building bespoke LegalTech teams to scout and to build cutting-edge solutions that take advantage of the latest developments in technologies such as machine learning. The opportunity is twofold: to increase efficiencies for your fee-earners, but also to make your data work for you, not against you. 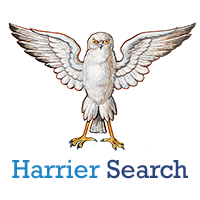 Harrier Search is dedicated to finding the best talent to enhance your Knowledge Management and LegalTech Innovation teams who will help your firm to excel.